BuzziBlinds is the bigger and newer version of BuzziBlinds Classic. These rotating acoustical blinds can open or close with a simple twist creating varying degrees of privacy in an open space. This gives individuals the opportunity to determine the level of privacy they may want or need at any given time. BuzziBlinds are available in four shapes, covered in BuzziFelt, and offer a V-cut option to enhance the architectural look in any space. 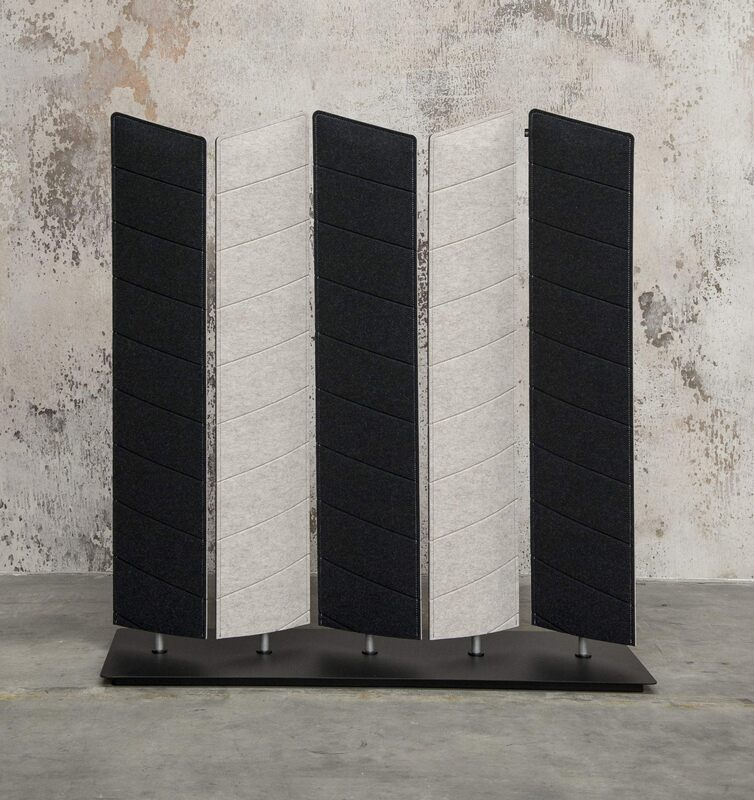 The freestanding room divider is made up of five rotating blinds that are mounted on a metal base that can be curved or straight. There are various heights available (small, medium, and large), but each blind is 12.6″W regardless of height.